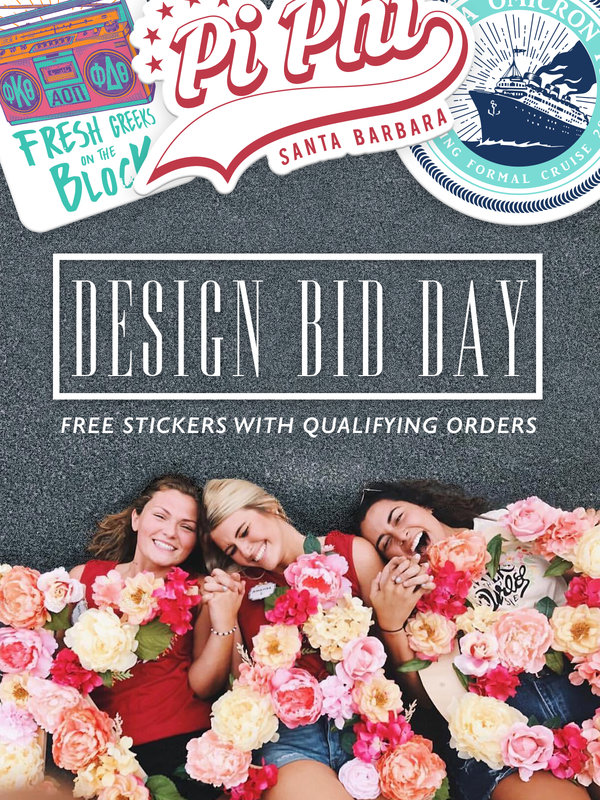 Receive custom design chapter stickers to match your chapter's Bid Day theme with any qualifying Bid Day order of 50 garments or more or substitute with FREE Koozies! Simply submit a proof request to get started. More than apparel! Bundle t-shirts, hydro flasks (perfect for that sticker add on), dad hats, you name it! Let us know what you have in mind and let's make it a Bid Day to remember! Recruitment, Work Week, or PR shirts on your mind? We have you covered too! Browse our design gallery or submit a proof request to get started!